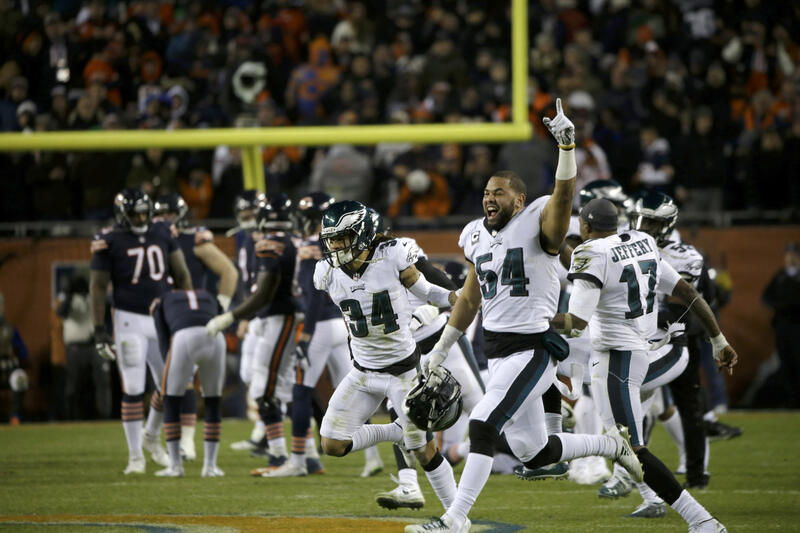 PHILADELPHIA (AP) — Cody Parkey got an excuse he probably won’t use. Parkey’s missed 43-yard field goal in the final seconds that gave the Philadelphia Eagles a 16-15 upset win over the Chicago Bears in Sunday’s wild-card playoff game was officially ruled a block by the NFL. Video showed Philadelphia’s Treyvon Hester tipped the ball, which bounced off the upright and hit the crossbar. Parkey was booed by Bears fans as he ran off the field after kneeling down with teammates and opponents for a postgame prayer. He accepted responsibility for the loss afterward. Eagles coach Doug Pederson on Monday praised Hester, who began the season on the practice squad, for having “a big hand in the game” and the team posted on Twitter it was the first blocked field goal in the franchise’s postseason history. The Eagles took a one-point lead when Nick Foles threw a 2-yard touchdown pass to Golden Tate with 56 seconds remaining. Mitchell Trubisky drove the Bears into position to win it, but Parkey’s kick didn’t go through. Philadelphia plays at New Orleans next Sunday. Hester’s block should absolve Parkey from blame, though Bears fans certainly won’t let him forget it anytime soon. Parkey’s teammates stood by him after the game and players around the country quickly expressed their support on social media. The Philadelphia Flyers poked fun at Parkey during Monday night’s game against St. Louis. Gritty, the team’s googily-eyed mascot, kicked a field goal blindfolded in the stands during a “Cody Parkey Challenge” and fans roared, breaking into the “Fly! Eagles! Fly!” fight song when the missed kick was shown on the video screen. AP Sports Writers Andrew Seligman and Dan Gelston contributed to this report.